Southgate Dental Care welcomes you to our practice website. Our friendly and caring team strive to offer the highest standard of dental care for you and your family. We are a well-established, trusted dental practice, caring for you in a modern, relaxing environment. We have been at our present location since 1996. In 2011 we completed a major extension and refurbishment project, designed by a leading architect in the dental community. We are happy to provide an environment that is truly special. We are proud to have treated a wide variety of patients from the locality and the neighbouring areas of Winchmore Hill, Oakwood, Cockfosters, Grange Park, Barnet and North London. We also have a number of patients who visit us from much further afield. We offer the latest cosmetic dental techniques, including teeth whitening, porcelain veneers and Invisalign. We also perform dental implants and can provide you with a complete smile makeover to improve your confidence in your smile. We want to ensure that all your dental needs can be dealt with by our team providing the highest quality of dentistry under one roof. We have achieved this by sharing our facilities with The Southgate Referral Practice - a centre of excellence providing expertise in dental implants, orthodontics, paediatric dentistry, endodontics and periodontics. This enables total quality dental care to be performed in the heart of Southgate. 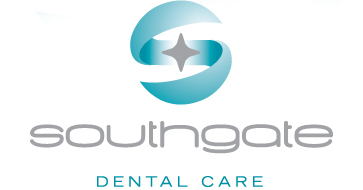 At Southgate Dental Care we have a reputation for the high level of care and excellence that we provide. Please read what the independent dental inspecting body - CQC and existing patients have said about us and take our practice tour. Then if you feel happy to trust us with your dental health, read further about what treatments we can offer you.